Water storage is becoming more and more important to the environment. Water is the most important natural resource we have, so harvesting and storing rainwater to preserve it, is a must. One of the most common problems you will run into when storing rainwater is the algae growth in water tanks. The presence of algae growth in water tanks will make your harvested water nearly unusable. Algae is a bacteria that can carry toxins that are harmful to animals, humans and plants. Therefore, it is extremely important to take every precaution to prevent algae growth in water tanks. Here are 3 simple tips you can use to make sure that your water stays algae-free. Always use a completely opaque water storage tank - Algae uses photosynthesis to reproduce - in simple terms, algae needs light to grow. So, if your water tank does not allow light in through the roof or side walls, algae cannot grow. To help you understand this fact, read this blog that explains what happens if sunlight gets through your tank side walls. Interesting content: To learn more about how an opaque water storage tank can stop algae growth, click here. Add 1/4 teaspoon of *bleach to every gallon of water you store - Bleach kills algae and prevents it from growing. To show how bleach can kill algae in your water tank, I found a great article I thought you would be interested in. It was a study conducted on a pool that was full of algae. Read this to see images of the process. One question answered is, will plain old household bleach remove algae from water? To answer this, the writer responds, "this is perfect for pool owners who still can't believe you can kill algae with plain old household bleach." Pro tip: We suggest you use bleach that is 5.25% hypochlorite. 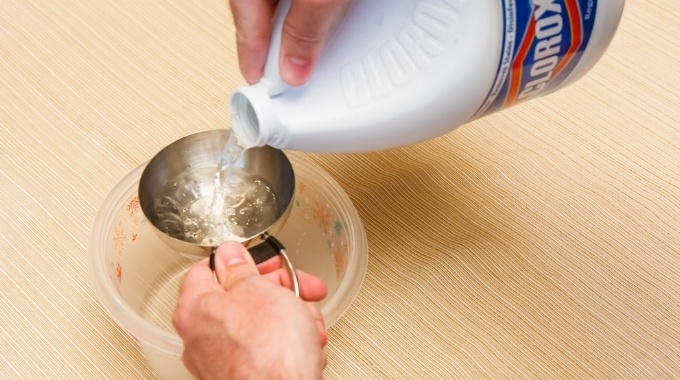 Do not add both bleach and chlorine to your water. Use one or the other. Add 4 parts of *chlorine to every 1,000,000 parts water - Chlorine also stops algae growth. In this small of a ratio, the water will still be safe to drink or irrigate with. If you use your water tank for a drinking water source, I suggest you read this article. Can I drink from Plastic Water Storage Tanks? Pro tip: The most important thing to remember is to follow the ratios of bleach and chlorine very closely. Too much of these elements in your water can be harmful. So, using any of these simple solutions, you can prevent any algae growth in water tanks, even if you store water over an extended period. In my opinion, there is no point collecting rainwater if it is only going to be ruined by algae growth. If you are doing your part to collect the rainwater in your community, be sure to use these tips to keep your water clean and usable.